Courtesy of Realty World Uptown. Please, send me more information on this property: MLS# 72193003 – $168,000 – 9660 Westview Drive Unit 6, Houston, TX 77055. Great 3 bed townhome minutes away from Downtown. Close to fantastic restaurants, shopping centers and much more! This home won’t last too long, make an appointment to make this your home near the bayou city! $23K price drop!!! – back on the market, as buyer funding fell through. 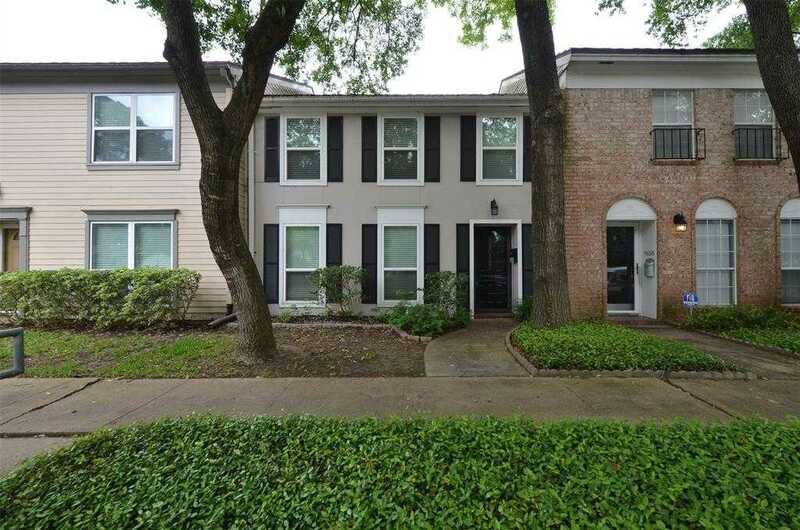 Beautiful 1,076 sf 2 Bedroom/1.5 Bath Updated Spring Branch Condominium with Complete Electrical Rewire & New A/C System. New open kitchen with soft-close cabinetry and all stainless steel appliances, hardwood floor downstairs, travertine tile patio, LG washer/dryer upstairs, jetted tub, solid wood bedroom window shutters, crown molding throughout. $85K worth of upgrades. Two assigned parking spaces just outside patio. Never flooded. Moritz Pech Family Park just down the street. Perfect location only 1 mile off I-10, 10 minutes from the Galleria and 15 minutes from Downtown. Zoned to SBISD schools: Memorial High and Valley Oaks Elementary. 2018 expenses were $4,907.09 (Homestead Taxes, HOA, Utilities, Structural Insurance). Listing agent is owner. Call to schedule showing today. In the heart of Spring Branch, this condo is one of a kind. Hardwood floors in bedroom, family room and breakfast. Travertine tile in all wet areas. Kitchen comes with stainless LG Appliances, granite counter tops and da nice size pantry with glass door. Upgraded plantation shutters in the family room. High tech sound system and updated light switches are also some of the upgrades. AC approx. 2 years old. Condo comes with an assigned parking space in front of the unit.